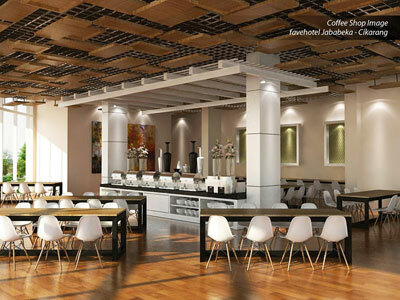 Jakarta, August 27th 2014 – Set for a soft opening at the end of this year, favehotel Jababeka Cikarang will be the latest favehotel by Archipelago International; a hotel geared towards Cikarang's business travelers. Cikarang is the capital of the Bekasi Regency, West Java, with the Jababeka area being the biggest industrial estate in Southeast Asia. Ideal for travelers doing business in the vicinity, favehotel Jababeka Cikarang is strategically situated in the heart of the Cikarang Industrial Estate, just 30 minutes away from the industrial city and its hundreds of factories. The hotel is only 5 minutes from the Cikarang Toll Gateway, 45 minutes from Jakarta's business hub and 60 minutes from Soekarno-Hatta International Airport, making business travel both convenient and efficient. 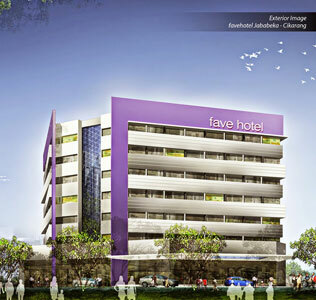 favehotel Jababeka Cikarang will feature 155 modern and functional guestrooms, together with important facilities for business travelers, such as uncompromising standards of cleanliness on par with high end luxury hotels, contemporary-chic designs and comfortable setups with top notch pillows and 100% cotton bed sheets and duvets. Each room is designed in the typical, edgy favehotel way and offers such amenities as a 29” LED TV with international & local channels, a well design en-suite bathroom with standing shower, well placed local and universal electric outlets, a desk, a wardrobe and, as with every favehotel, truly high-speed complimentary WiFi to keep business travelers connected. The hotel also offers 6 meeting rooms that accommodate up to 170 guests for a variety of occasions, complete with relevant meeting equipment and services. “Jababeka is well known for its booming commerce, but until now, it seemed there were no top quality, select service budget hotels in the city that offer business travelers all the mod-cons they've come to expect from premium hotels. We therefore believe that favehotel Jababeka Cikarang will be a fantastic addition to West Java's economic core, and the preferred choice for savvy business travelers in the area.” Said Norbert Vas, Archipelago International's VP Sales & Marketing. Exterior of favehotel Jababeka – Cikarang. Restaurant of favehotel Jababeka – Cikarang.